Happy National Margarita Day! What better way to celebrate than creating your own version of the boozy drink? Since The Fluf’s February themes are love and friendship, this is the perfect excuse to love ourselves and get litty on our own terms. If you’re like me, you love margs but your knowledge is limited to Jose Cuervo Margarita cocktail your mom buys at Sam’s or “Margarita Mondays” at your local Tex-Mex joint. There’s also a tequila shortage happening, so let’s make the best of the moment and get to know it a little bit better. Let’s face it. If you’ve graduated from college, you owe it to ourselves to drink good alcohol. We are past our cheap liquor days, and now’s the time to embrace our future as master cocktail makers. From my very extensive research, I’ve made an easy to follow DIY guide to getting your drink on. 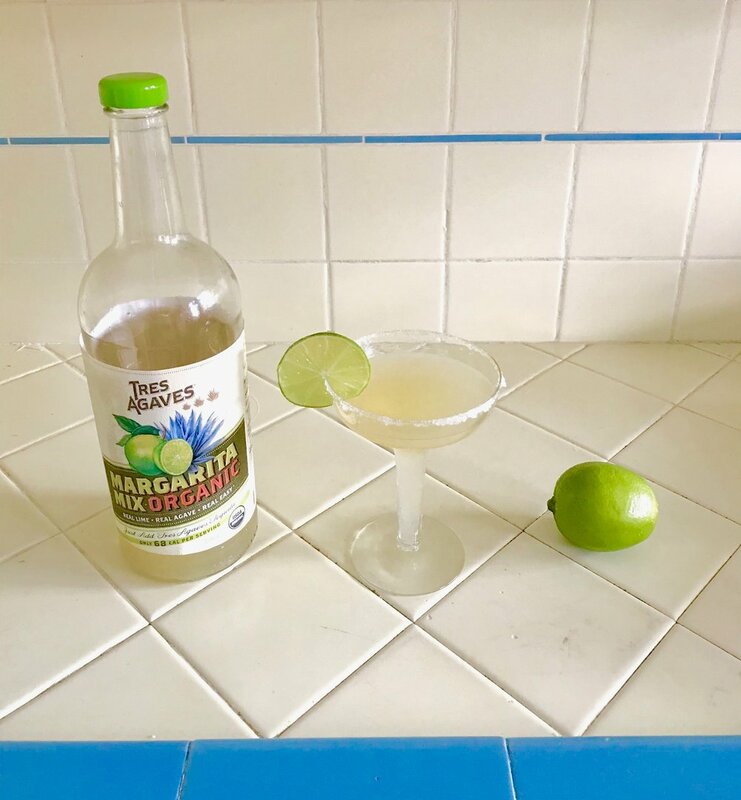 And after you graduate from Margarita 101, make sure to check out Sophie’s favorite margarita recipe to kick things up a notch with some unique flavors! The first step is the most important part, the tequila. Can’t have a marg without the booze. Silver color: This type of tequila is packaged soon after the distilling process is over. It maintains a sweeter agave taste. Gold color: Gold Tequila is usually a mixto which are lower quality, more likely to cause hangovers, and often used in mixed drinks. Reposado: This tequila is aged for less than one year in oak barrels. In order to avoid overpowering the taste of your margarita, you don’t want to use anything older than an reposado. Orange liqueurs like Triple Sec, Cointreau, and Grand Marnier add a little sweet flavor while giving a little extra alcoholic kick. This is the defining flavor that sets your margarita apart from others. This portion could be a juice or a puree. Maybe even grab some fruits from the store, cut them up, and let them soak into the flavor of your marg! Lime juice is traditional, but some other great ones to try are: mango, strawberry, cherry, blueberry, and / or raspberry. In order to get a nice clean crystal rim. Dip the glass in lemon or lime juice first, then dip it in your crystal of choice: kosher salt, chili salt, or sugar for those who need a something sweet to balance out the tequila taste. Once you combine the alcohol and fruit juice/puree, you shake up the contents and pour over ice. Throw the mixture in a blender with some ice if you prefer it frozen! Now go and drink to your heart’s desire. Share with some special pals. You deserve it. I know I do.